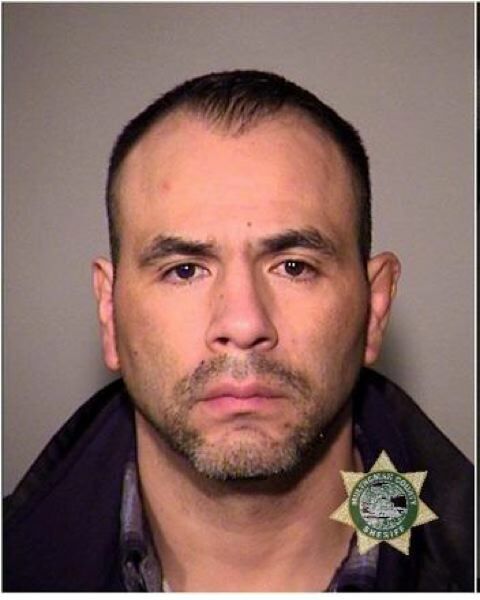 Portland Fire and Rescue chief 'gravely concerned' after 18-year veteran is taken into custody. A Portland firefighter arrested Wednesday evening, Dec. 20, on drug and firearms charges has been placed on administrative leave pending an investigation. East Precinct officers arrested 44-year-old David N. Lloyd at about 2 p.m. Dec. 20, after officers stopped his Chrysler near Southeast 81st Avenue and Stark Street. and discovered baggies of what they suspected were meth, heroin and suboxone pills in the vehicle. They also found a handgun under the front seat of the car and a sawed-off .22 rifle in the trunk. He faces charges of illegal firearm possession, possession of heroin and possession of methamphetamine. He will be arraigned Jan. 4 in Multnomah County Circuit Court. A passenger in Lloyd's car, 35-year-old Jacob Allen Lieberman, was arrested and booked into the Multnomah County Jail on a county hold. Lloyd is an 18-year veteran of Portland Fire and Rescue. Fire Chief Mike Myers said Friday, Dec. 21, that he was "gravely concerned" about the charges. "As firefighters we are tasked with the health and safety of this city," Myers said in a statement. "As fire chief, I must maintain this objective with expectations of what it means to be a Portland firefighter above all. I am gravely concerned with details of this arrest and I will be following this process closely."